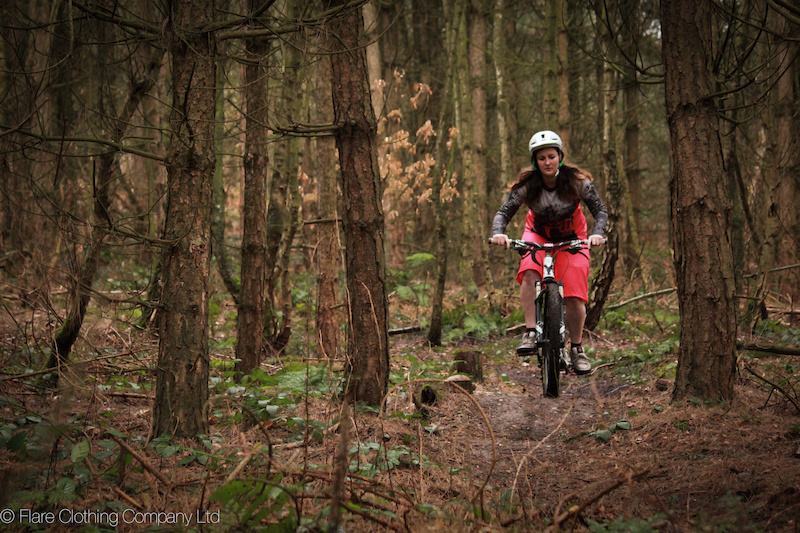 One year ago, Hannah Myers was putting the final touches to her first collection of riding gear, a keen mountain biker frustrated with the lack of clothing options for female riders she launched Flare Clothing Company. Twelve months before, during the final stages of her Masters Degree in product design, Flare was a university project that quickly grew into a viable business idea - throwing herself into developing the brand, Hannah conducted extensive research and began talking to athletes, riders and industry professionals before developing and testing prototypes resulting in the launch of Roost in spring 2014. Now, one year on she has expanded her line to include downhill specific clothing, a riding jacket and even a line of men's clothing for 2015. Was there a particular reason you decided to start Flare, or was it just an idea developed during your degree? I started Flare because, more than anything, I was unsatisfied with the products available for women at the time (mid-2012). Doing a masters degree in product design allowed me to really delve into the problem, and to have the university resources at my disposal to both shape the research and (begin to) develop a solution was fantastic! In March 2013 I had a bit of a turning point where I thought - “I can either try an make this happen or I can leave it”. How have things changed for you over the past year in regards to running a business and adapting to the changes? At this point last year I was on the brink of releasing a first run of jerseys, securing sponsorships for 2014 and finalising the spring collection. In some senses I'm still doing all of those things, managing sponsorships, scheduling product launching and designing new product, but the way that I now do them has evolved massively in a short space of time. I think that even with only this one year of trading history behind me, I am able to make better informed judgements that ultimately make for an improved product range, and hopefully will continue to do so each year and each collection. During the beginning were there any uncertain moments, did you ever think that Flare wouldn't work? I wouldn’t say that there have been uncertain moments as far as I personally am concerned, with my own motivation, but there have certainly been setbacks. On a Monday in November 2013 I discovered that Flare’s first manufacturing deposit had in fact been fraudulent, and it took a huge amount of drive to move on from the situation and find a solution - which I had done by that Wednesday. There are always going to be people that don’t necessarily agree with you - whether it’s in concept, design or approach. But every time something seemingly discouraging happens an email or photo comes through from someone who is so stoked with their kit that it puts the negative stuff into perspective. Who are you sponsoring in 2015? For 2015 Flare is absolutely sponsoring some seriously fast racers - Becci Skelton (DH), Carrie Poole (Enduro), Meg Whyte (DH) and Nicole Mallett (Enduro), and I’m stoked to see how they do next year. I also wanted to provide support to women who weren’t necessarily racers (some are, of course) but who could be British Cycling Breeze Champions, off-road triathletes, active MTB club members who would encourage other women to get involved! It’s a little intimidating coming into a sport so dominated by men, and the more women that are championed in clubs and at a grassroots level, the less nerve-wracking it’ll be for newer riders to get involved. I’m really looking forward to getting all the girls together for a ride in the spring! 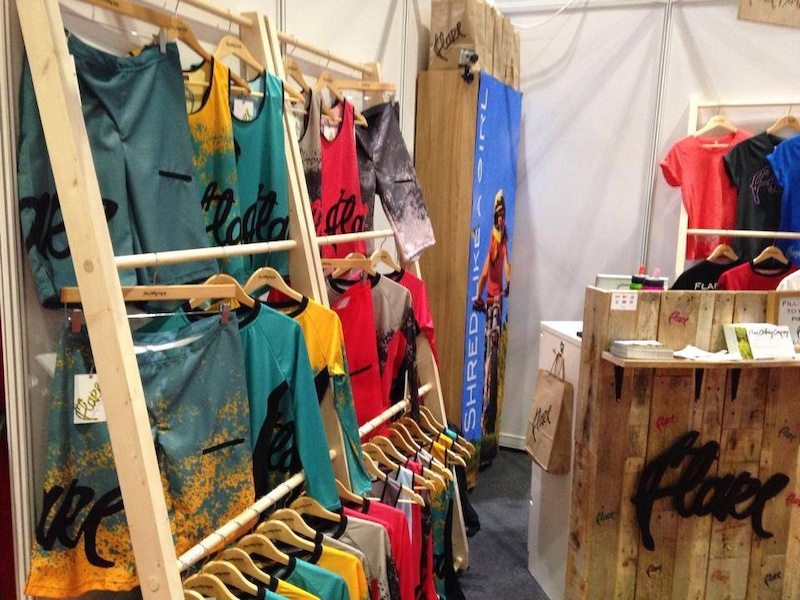 You currently have a range of XC/AM kit for women, what’s next? Do you have any current plans to extend the men’s kit or continue to focus on women? What’s next? is an exciting thought. For Spring/Summer 2015 the current kit is being expanded into two; a heavy-duty DH kit and a lighter weight trail/enduro kit. We’re using some really high-tech fabrics to keep things comfortable yet tough and the graphics are awesome. I’m keeping the colour palette similar to Spring/Summer 2014 so that shorts or jerseys bought last year will still look good with the new stuff, while still keeping things interesting. We’ve just announced the launch of Flare Rider Co; a ‘brother’ brand, if you like. This will be a men’s clothing brand (no, it won’t say “shred like a girl”, before you ask!) focusing on great graphics and high quality in a range of clothing that is all made in the UK. This again will have DH and trail options, and we’ll be showcasing the collection at the Bike Place show in January ahead of a Kickstarter campaign to pre-order the gear. Ben Skinner-Watts wearing a 2014 men's jersey. From the unique perspective of a female designer in a niche market, have you noticed a growth in women’s specific products or is there still a gap? There’s absolutely been growth - even in the short time that Flare has been trading there have been new introductions to the market and some of the big players have upped their game which is fantastic. That being said, there is still a gap, which is indicative of the proportion of female riders out there. It’s definitely growing but until it reaches a level to come close to the guys there isn’t going to be a massive amount of choice in higher-end, more discipline specific clothing that is tailored for women. 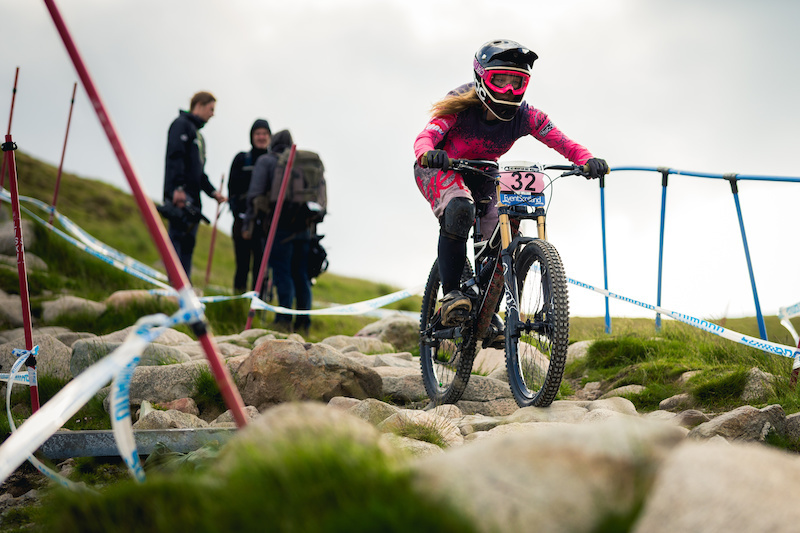 You supported the women’s category at the British Downhill Series this year, how important was it to you to get involved, were you the first women’s specific brand to sponsor the category? Yes, as far as I’m aware Flare has been the first women’s specific sponsor of the women’s category. I was keen to get involved with the race series for several reasons - to meet all sorts of different people in the sport, whether they be racers, parents, other sponsors or press, to showcase Flare Clothing to the people who really know about how these products should perform, to give some support for our racers and ambassadors taking part in the series and to provide these super fast women with some prizes that (hopefully) they’ll be stoked to receive at the end of the season! 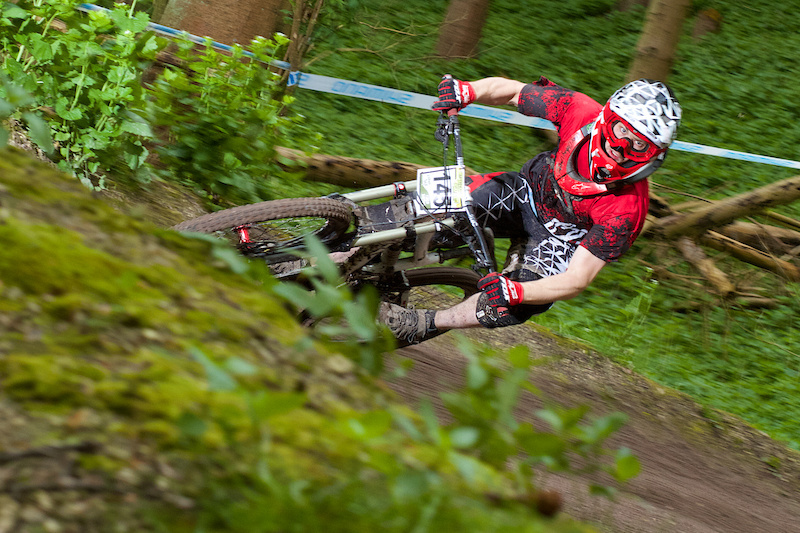 Emma Atkinson at Fort William 2014. 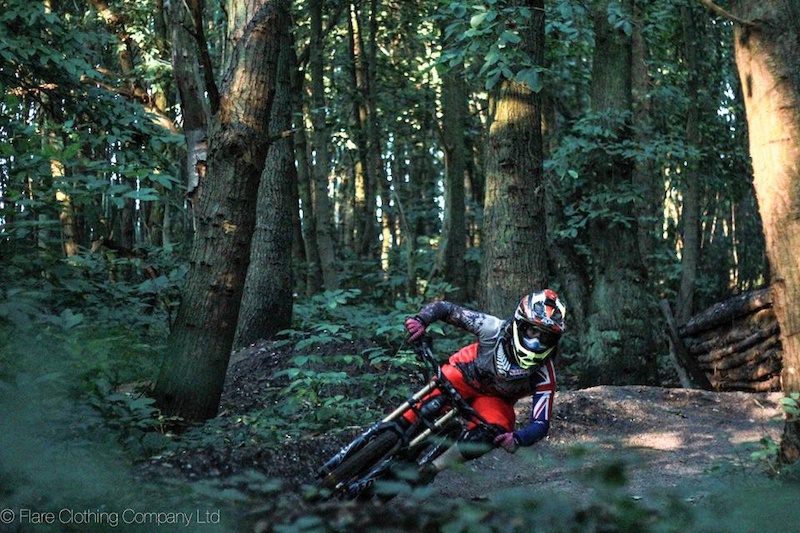 What feedback have you had from female riders and the industry in relation to your products? It’s generally been really positive - which is brilliant! I think that even if riders don’t necessarily like my design aesthetic or colour choices they appreciate that Flare is offering an alternative to what you see on the general MTB clothing market. The industry has been the same - when I’ve been chatting to reps from other clothing companies they have really only been helpful and encouraging despite me being their competition. The only difficult area is bike shops, especially the more established ones have gotten into routines of buying in the same women’s clothing, for it to then not be bought and sold at a massive discount, so they buy in less the next season and even less the season after that. Of course this is not to say all bike shops fit this pattern, of course they don’t and I work with some fantastic ones nationwide, but it’s often a case of them taking a risk on a slightly unusual product to get their female customers interested again. What are your views on the separation of men and women when it comes to mtb, do you think the industry is beginning to take a wider interest in the female market in terms of integration? I’m all for the integration, which is why we’re now starting Flare Rider Co. but it is a bit idealistic to think that in a mixed group of friends everyone will be of a similar ability, confidence and riding style. I think that separation is absolutely necessary when it comes to coaching, skills weekends and riding trips as a jumping off point, and these events give the women taking part confidence to then try out a race, or an uplift with a bunch of male friends. It’s all a matter of participation, if separated activities can act as a catalyst for greater female involvement across the industry as whole - go for it! What can we expect to see from Flare in the next few years? Definitely more MTB kit - I'm increasing the product range season by season so that we can really offer what people want while making the clothing the best it can be. I’m really interested in doing a kids’ line, which could be really cool and there’s also potential to look at some road or urban clothing in the next couple of years. Watch this space! Great stuff, best of luck! Awesome styling and great quality kit. 10/10. 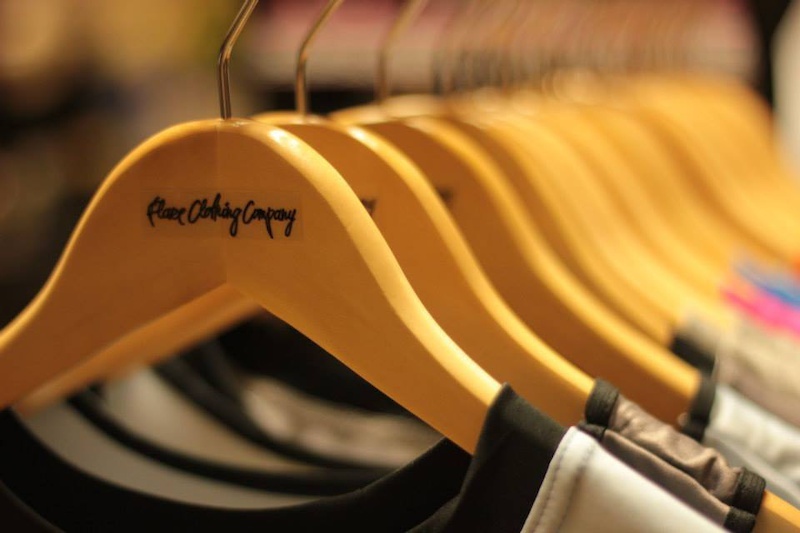 I'm so keen to check out Flare clothing sometime stock up in 2015 maybe?